Part of Burnby Hall gardens is devoted to a small aviary, with a variety of bird species, many of them originally from Australia, but also some from Bengal and the Canary Islands. This shot shows a Rosella, which is one of six species of colourful Australian parrots in the genus Platycercus. 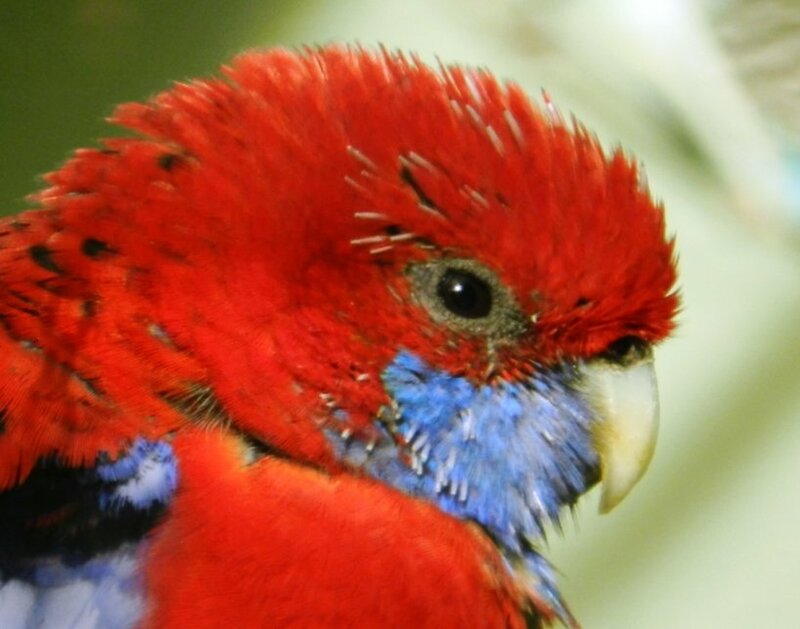 Platycercus means "broad-tailed" or "flat-tailed", reflecting a feature common to the rosellas and other members of the broad-tailed parrot tribe. Their diet is mainly seeds and fruit. Lovely colours and great differential focus. Great portrait of this beautiful bird. Far back in the past I use to grow them. Super close up. You did well to photograph him. Out here they are very difficult to photograph in the wild they are such shy birds. Splendid colours of a lovely bird. His mates live here but won't let me get that close. Brilliant capture. Incredible close-up. A very colourful parrot. Fav. Well, thank you all for your comments and favs, which put this on the trending and popular pages - I was a bit unsure about posting this because I felt that the focus was a bit soft. Thank you both - interesting that you should both note the difficulty of getting a shot of these birds. This one is in quite a small aviary, so I was able to get quite close. It seemed quite happy with human company, perhaps because it has got used to it. Ferry, you are a man of many talents - I didn't know you had been involved in breeding birds.